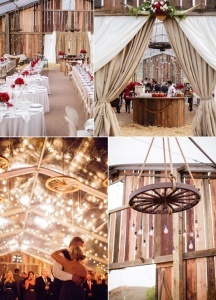 Green Wedding Shoes Blog has shared pictures of a barn wedding where the lighting is done in the form of chandeliers created from bulbs and wagon wheels. A chandelier like this can be hung in your home’s porch too to bring a sudden rustic feel to your outdoor room. 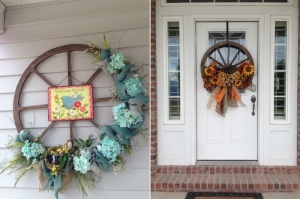 Stephanie Walls and Denise Hamilton have shared their spring and fall season wreaths respectively at Pinterest and both are created by embellishing old wagon wheels. 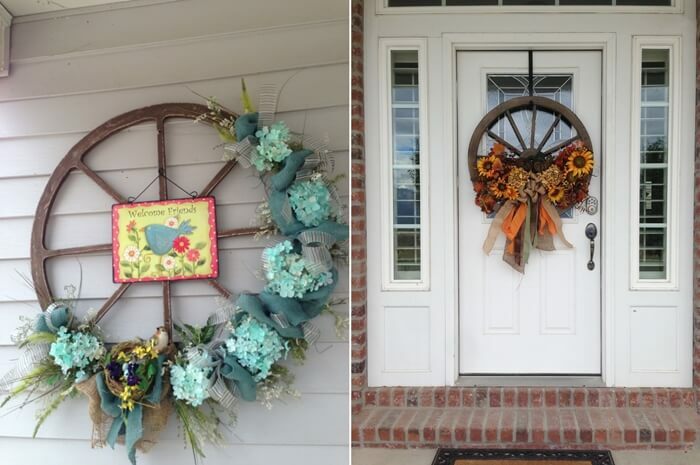 Christmas countdown has already begun and you can steal the same idea for making this year’s Christmas wreath too. 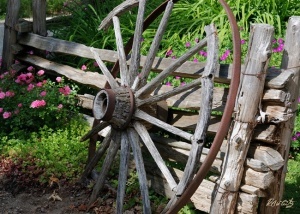 Just add red, green and white embellishments to a wagon wheel and your wreath will be ready. 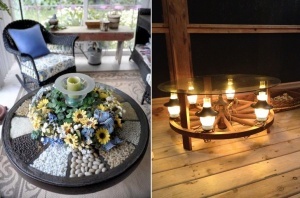 At Home Iillinois and Courtney Simonds via Pinterest have shared pictures of two coffee tables both created from wagon wheels. 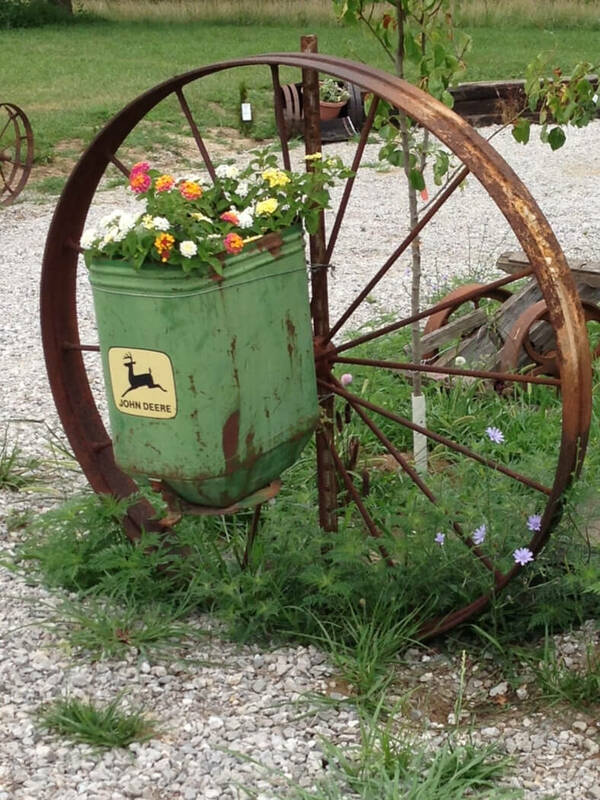 Both of them are quite unique. 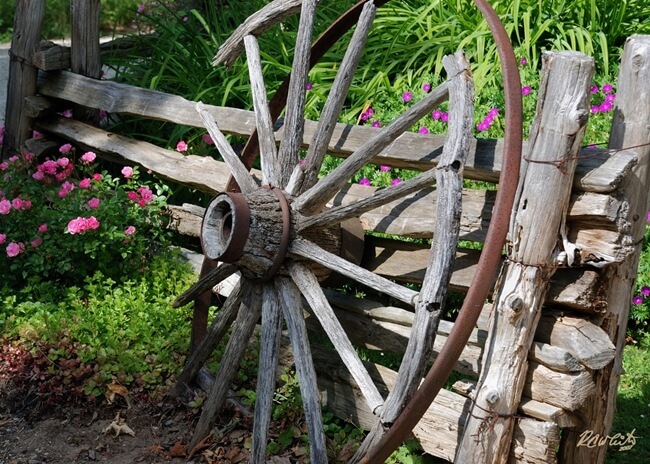 The first one has a coastal feel as different kinds of river rocks and pebbles are filled in the pie shaped sectors of the wagon wheel. 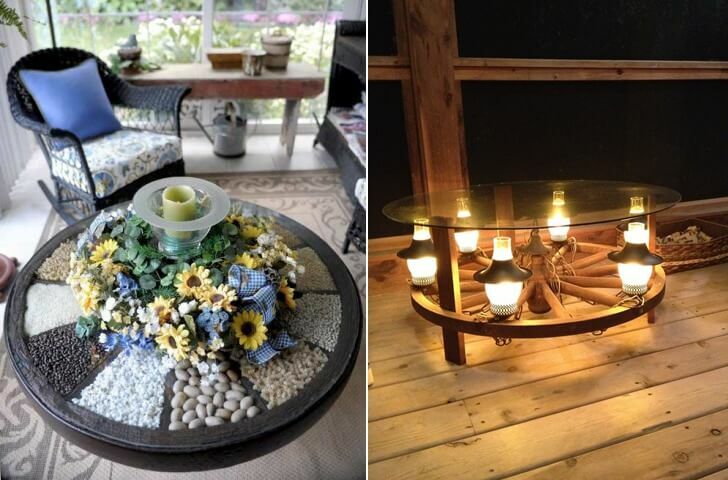 The second one is basically a wagon wheel chandelier turned coffee table. 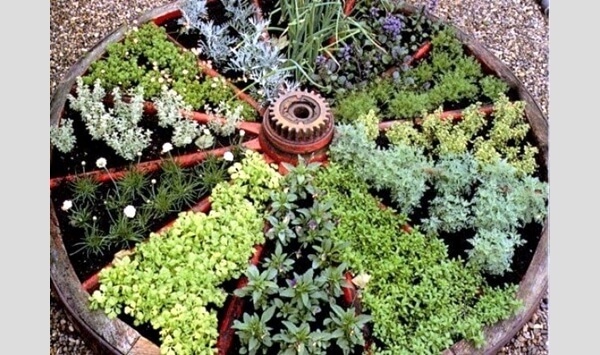 Both deserve two thumbs up! Two Men and A Little Farm has shared a photo of a herb garden that is made using a wagon wheel as the edging of the garden beds. 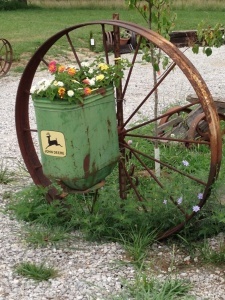 Letha Wynia via Pinterest has shared a beautiful garden decor where a planter box is fixed on a wagon wheel.